Br. Dale A. Barth, CSV, died Feb. 21, 2019 at Northwest Community Hospital in Arlington Heights, IL. He was 75. Br. Barth was born on June 21, 1943 in Peoria, the son of Walter and Cecilia (Benn) Barth. His parents preceded him in death, along with his brother Jack Barth and his sisters Gail Barth and Cynthia (Barth) Montgomery. He is survived by his sister-in law, Marilyn Barth and many nieces and nephews. Br. Barth pronounced first vows Sept. 8, 1963 in Arlington Heights and was ordained a Permanent Deacon on Sept. 13, 2003 by Bishop Joseph Imesch in Joliet. In 1963, Br. Barth graduated from Spalding Institute in Peoria. He attended undergrad classes at Ray Vogue Photography School, Loyola University and Mundelein College, all in Chicago. He also attended Ministry of Care classes in preparation for his diaconate. 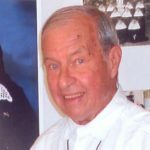 For 23 years he was assigned to Saint Viator High School in Arlington Heights, where he served as Director of Maintenance from 1967-1990. From 1990-1998, he worked in the Provincial Treasurer’s Office at the Viatorian Province Center in Arlington Heights and from 1996-1999, he was assigned as Business Manager at St. Viator Parish in Las Vegas. 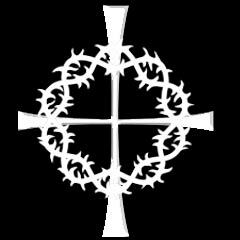 He served as Pastoral Minister at Maternity BVM Parish in Bourbonnais, from 2000-2003. He then was assigned as Assistant to the Novice Director at St. Patrick Parish in Kankakee. 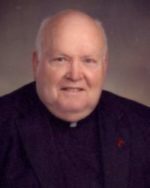 He served as Pastoral Associate at St. Viator Parish in Chicago from 2005-2008 before retiring in 2008 to the Viatorian Province Center retirement residence. Visitation for Br. Barth was held at Lauterburg-Oehler Funeral Home, 2000 E. Northwest Highway in Arlington Heights, IL on Tuesday, Feb. 26 from 3-7 p.m. A Mass of Christian Burial was celebrated on Wednesday, Feb. 27, 2019 at 11 a.m. at Our Lady of the Wayside Parish, 434 W. Park St. in Arlington Heights. Interment was at Queen of Heaven Cemetery in Hillside. Please remember Br. Barth in your Masses and prayers.